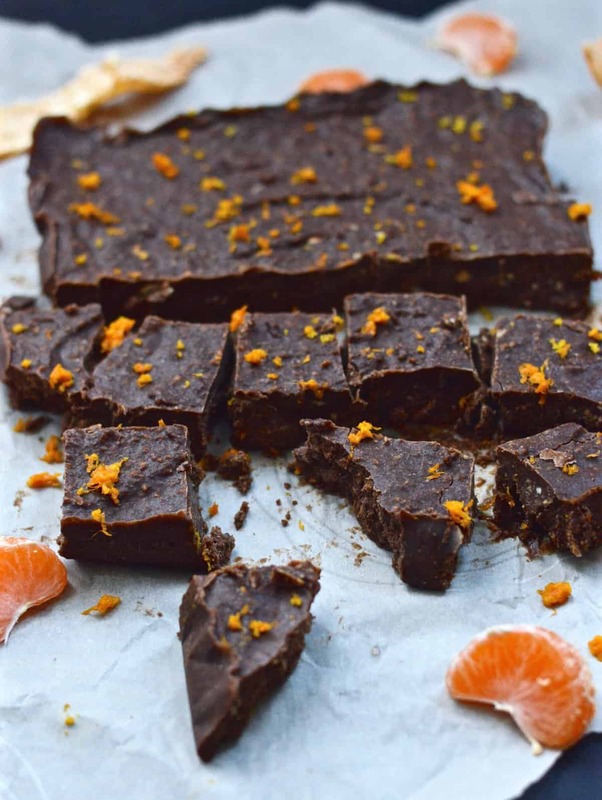 Chocolate Orange Fudge is going to become your new favourite dessert. 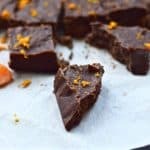 This easy chocolate fudge is made with real, nourishing ingredients and is a healthy alternative to most other fudge recipes. 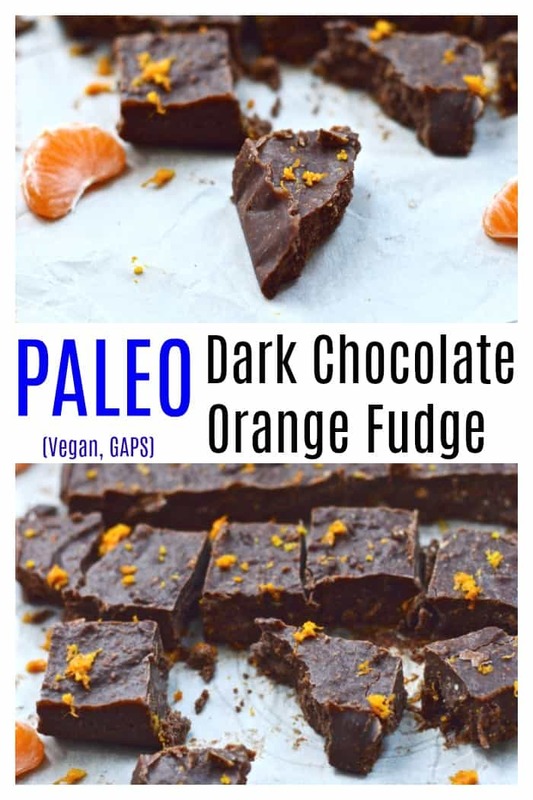 This chocolate fudge is not only easy to make, but it’s paleo, GAPS and vegan. Note: This recipe was originally published on April 19, 2014 but has been re-done and re-published on November 3, 2018. Have any of you ever had a Terry’s Dark Chocolate Orange? Does anyone know what I am talking about? Those used to be my favourite chocolates before I changed to the paleo diet. 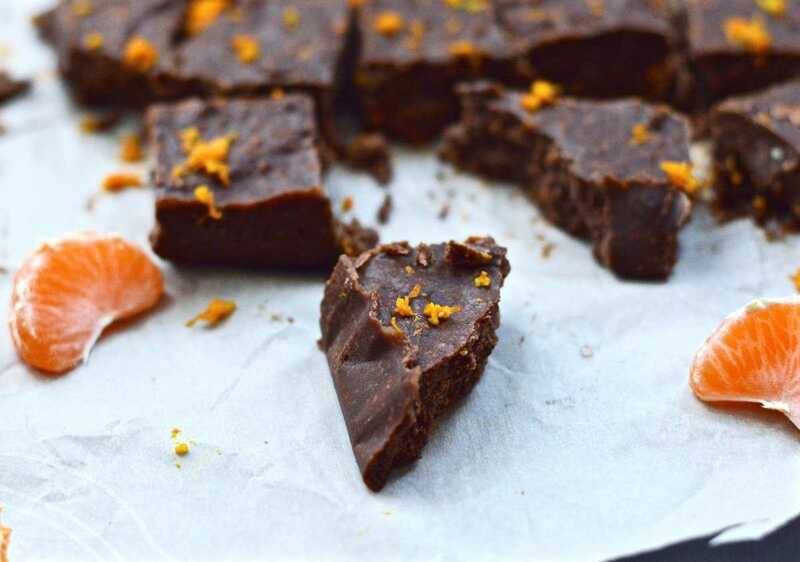 Well if you like those chocolates then you will love this fudge. The taste is very similar if you ask me (and my entire family agrees). 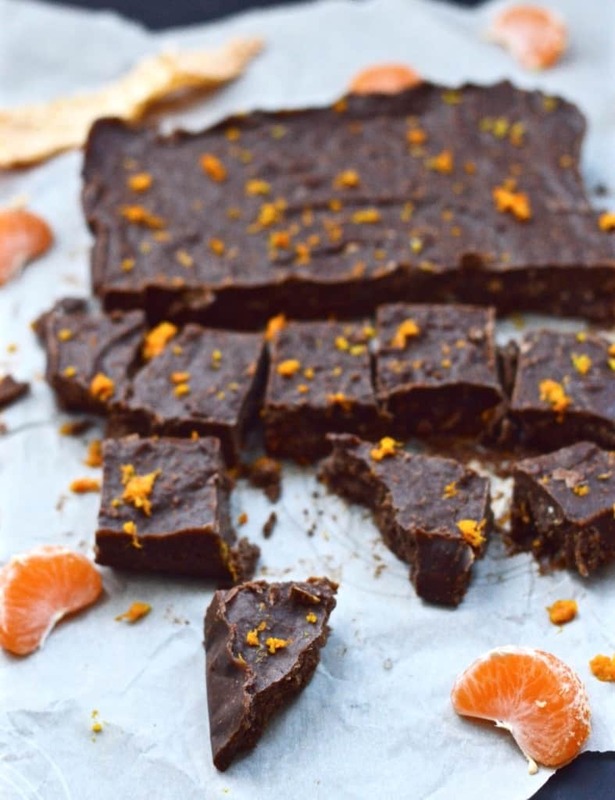 The combination of orange and chocolate just somehow works magically together. 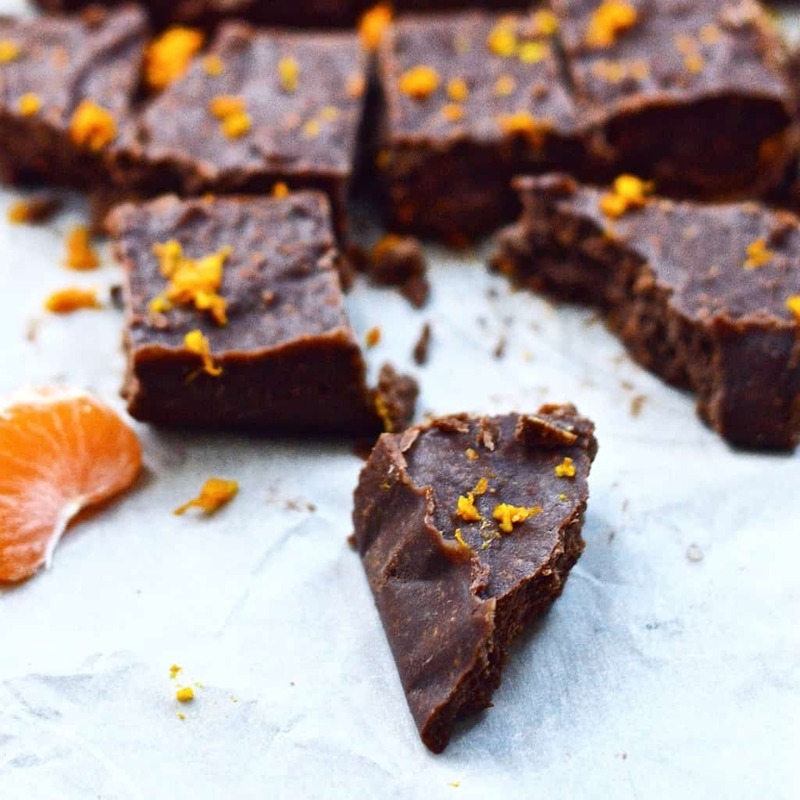 However, you could just call this the health version of a Terry’s Dark Chocolate Orange as this Paleo Dark Chocolate Orange Fudge is made with only real, nourishing ingredient. No soy, dairy, natural or artificial ingredients or other questionable additives. Just healthy, chocolatey, goodness. I was actually curious to see what ingredients were in a Terry’s Dark Chocolate Orange and so I looked it up. And it isn’t so pretty. Here are the ingredients: Sugar, Cocoa Mass, Cocoa Butter, Milk Fat, Emulsifiers (Soya Lecithin, E476), Orange Oil, Flavourings, Dried Skimmed Milk, Cocoa Solids (40 % minimum). I mean, what is E476??? It sure doesn’t sound like something we should be eating that’s for sure. There is no way I would be touching one of those oranges these days (sorry Terry). 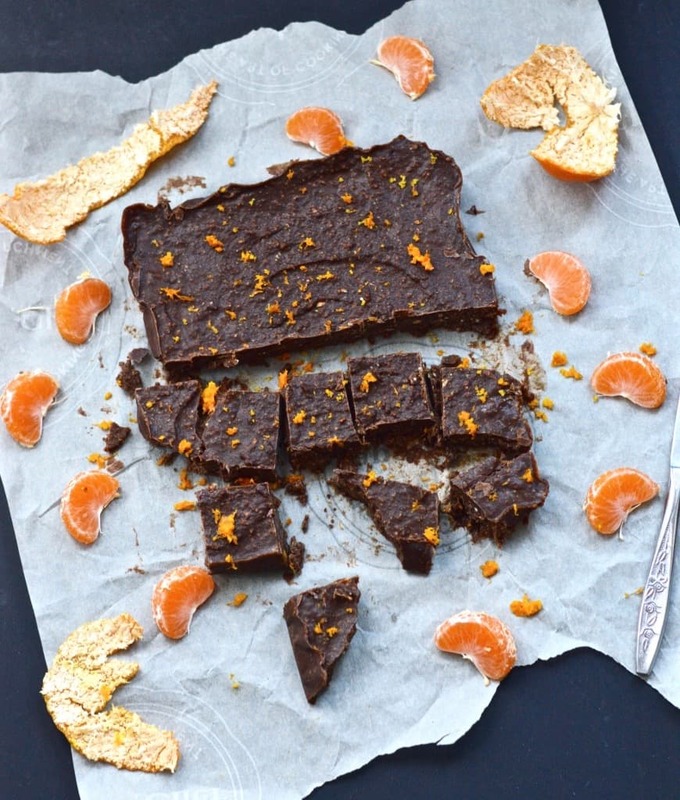 What else makes this Dark Chocolate Orange Fudge so great? Well, besides being paleo, it is also vegan and GAPS friendly as well. To make it vegan, simply sub the honey for maple syrup. Simple as that! You can serve this fudge as a dessert at your next dinner party or gathering, and it also makes a great gift. Since I can’t eat the desserts at most dinner parties or family gatherings, I often make myself a batch of this chocolate fudge ahead of time so that I can still enjoy a treat with everyone else. Every time I serve this chocolate I get such great feedback. It’s become one of the most popular recipes on the blog. I am pretty sure you are going to like it. Unless of course you don’t like oranges, or chocolate. In which case I am not sure we can be friends any more (joking of course). I would love to know what you think of this if you make it! And if you are a chocolate lover like myself, I have a few other recipes you are sure to enjoy. Get Subscriber Exclusive Recipes, Ebooks and FREEBIES By Leaving Your Email Below! Cut fudge into pieces of desired size and enjoy! Store the fudge in the fridge, or put some in the freezer for a later date. If you don't have a food processor this can also be made in your Vitamix blender.